Antique cast brass Victorian picture hook with glass cameo face, circa 1890sShop our online catalog for a great selection of authentic antique and vintage lighting and hardware! 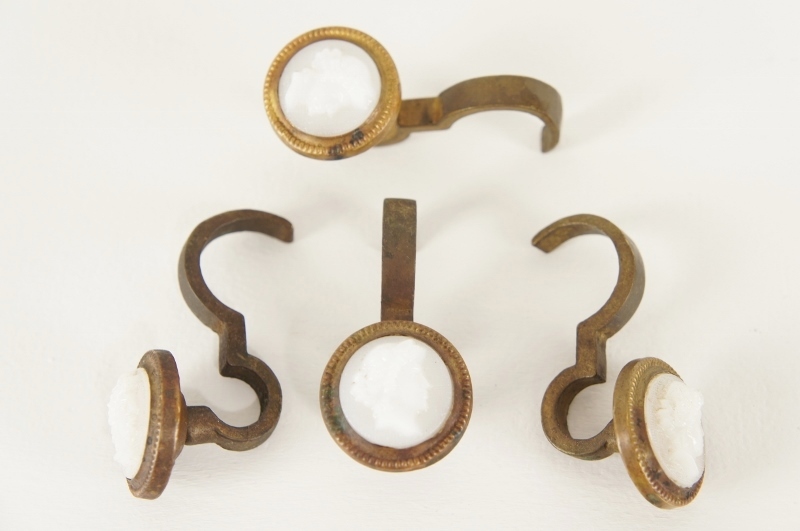 Incredible, rare cast and hammered brass picture hook with high quality pressed glass cameo face. Hooks onto picture rail molding at ceiling.